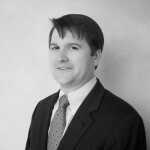 Michael Patyk joined Rhodes Osiek Patyk & Co. in November of 2013. He brings more than 11 years of public accounting experience and has a strong desire to help clients improve accounting operations; develop overall business strategies; and assist with tax and compliance requirements. Michael’s client experience ranges from global Fortune 100 organizations to single-owner businesses; and he has experience addressing the challenges which each face. Additionally, Michael has led several efforts to drive improvements in client organizations. Representative engagements include creating an accounting department for new organizations, benchmarking expense and operations data to identify areas for improvement and savings, and developing financial and operational reporting to focus on key metrics and provide business leaders with key information to run their business. Michael earned a BBA and Masters in Accounting from Texas Christian University and is a Certified Public Accountant in the state of Texas. When Michael isn’t helping clients, he enjoys spending time with his wife and two children cheering on their favorite team, the TCU Horned Frogs. 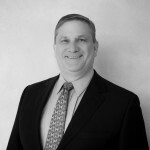 Curt Osiek joined Rhodes Osiek Patyk & Co. in 1982 after four years with an international accounting firm, and has over 36 years of public accounting experience. Curt has developed experience helping clients over the years in various industries including oil and gas, construction, not-for-profit, dental and the service industries. Curt is the head of the audit and review function with the firm performing audits and reviews for broker dealers, construction firms, non-profit organizations, profit sharing plans and service companies. Curt strives to help his clients in any way possible including advising on creation of new ventures, acquiring or selling existing companies, analyzing trends in the company’s business or advising on helping to reduce a company���s or individual’s tax burden. Curt is also responsible for the preparation and review of his client’s corporate, partnership, trust, individual and information tax returns. Curt earned a BS in Accounting, with special distinction, from Mississippi State University and is a Certified Public Accountant in the State of Texas. He is a member of the American Institute of Certified Public Accountants and the Texas Society of Certified Public Accountants. Curt is an active member of his local church, and serves his local community by his active participation on boards of two non-profit organizations in leadership roles. He is a member of the Arlington Sunrise Rotary Club.